One month since the US hospital bombing in Kunduz that left at least 30 people dead, the international community has remained quiet. Doctors Without Borders has called this refusal to hold the United States accountable "an erosion" of international law. 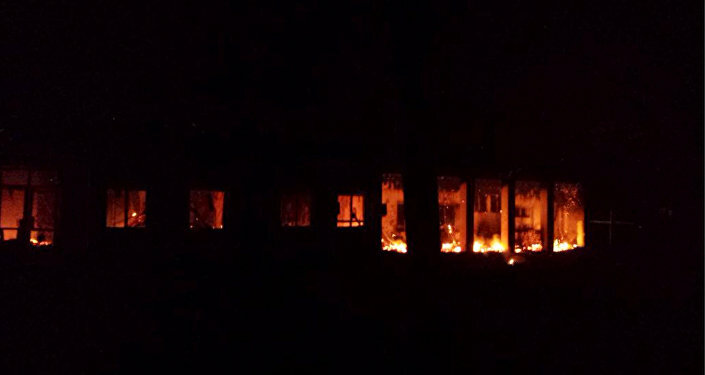 Last month, US airstrikes bombarded a Doctors Without Borders (MSF) hospital in Kunduz, Afghanistan. In one of the deadliest civilian casualty incidents in the history of the Afghan conflict. Thirty were killed, all being medical staff and patients, and another 37 were wounded. The tragedy elicited an international outcry. But despite almost universal condemnation, no Western nations have stepped forward to hold the United States accountable for its actions. "The silence is embarrassing," MSF executive director Joanne Liu told the Thomson Reuters Foundation. "We have seen an erosion over the years of international humanitarian law. Enough is enough. We cannot keep going like this." In the days after the bombing, Doctors Without Borders appealed to 76 nations, requesting support for an impartial international investigation into the circumstances surrounding the incident. "Yet today, as we mourn the killing of our staff and patients, none of the 76 countries have stepped forward to show their support for an independent investigation by the Humanitarian Commission," MSF-USA executive director Jason Cone said during a commemoration event on Tuesday. "No state has been willing to stand up for the Geneva Conventions and the laws of war." While President Obama has publicly apologized to Liu, the United States is still refusing to give consent to an independent investigation. "That is why we again call on President Barack Obama to give his consent for the United States to participate in an independent investigation by the International Humanitarian Fact-Finding Commission," Cone said on Tuesday. "Consenting to such an investigation would send a powerful signal of the US government’s commitment to and respect for international humanitarian law and the rules of war." MSF has also started an online petition requesting White House consent. It has so far garnered over 430,000 signatures. "For me the key message is about the safeguarding of the humanitarian medical space in war zones," Liu said. "No one expects to be bombed when they are in a hospital. Every human being can understand that."